When dementia becomes advanced, a person’s brain tissue shrinks and they cannot care for themselves or even communicate. Over time, this can lead to a slew of deadly complications from the disease, Dr. Merrill says. Many people with dementia have eating problems, like difficulty swallowing. When a person can’t swallow properly, food or drink can end up in their lungs, where it can cause pneumonia. A patient may also become dehydrated or malnourished due to the inability to swallow. “People with advanced dementia aren’t able to express through language the fact that they’re feeling ill so there may be later detection of an illness,” Dr. Merrill says. “People with dementia tend to lose insight about their limitations and may still take risks that they wouldn’t in the past, like forgetting that they can’t walk without assistance,” Dr. Merrill says. Falls are the leading cause of unintentional injury deaths in people aged 65 or older, according to the CDC. 2. 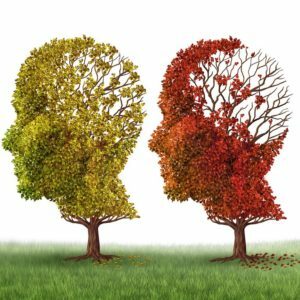 What are the common issues or problems concerning dementia patients in your country?